Yet more colors to add to your palette! Here are the very rich, Drop 3 voicings in 2nd inversion. 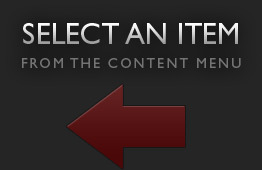 You comment "play my E" on that helpful alternative of the knuckle buster/bear FMaj7. You mean your "F" 4 major 7th yes? Hang in there because this series is going to teach you how to construct your own! Wonderful, meaty series. The perfect end of this series would be a "drop" supplemental of Wes Montgomery's "Accustomed to Her Face" in C Maj. Sublime. Jamplay welcomes Jazz virtuoso Sheryl Bailey with her series, "Creative Chords". Dive into the rich world of chord voicings and inversions that will help you understand harmony in a new way! To get started, Sheryl first looks at the basic root position chords used in harmonizing the major scale. Getting your ear familiar with these sounds will be a great benefit for you down the road! On to the next set of chord voicings: Drop 2's in root position. It's a fancy name to be sure, but some simply put, these voicings will add some more colors to your chord palette! Continuing on with the diatonic 7th chords, it's now on to Drop 3's in root position. Now Sheryl takes a look at some 2nd inversion chords (chords with the 5th on the bottom), starting with Drop 2's. In this lesson, Sheryl gives us an overview of every voicing she's covered so far, only this time she organizes them by the type of chord instead of in the diatonic scale. Now Sheryl explores one of the basics of rhythm guitar: shell voicings. It's amazing what you'll be able to do with these simple 3 note chords! The ii-V-I progression is straight out of Jazz 101! Sheryl Bailey shows you the shell voicings that will cover lots of mileage in your rhythm guitar playing. Time to put all the shells you've learned into an actual tune! In this lesson, Sheryl shows you a blues in Bb and utilizes walkups and chromatic approaches to get that classic 4 to the bar sound. Have you always wondered what a drop 3 chord is? Join Sheryl as she demystifies the drop 3 chord voicings. Now, let's put the walking bass line into an actual chord progression. Sheryl breaks down each step in making this a reality! Now, Sheryl takes a look at another commonly used voicing - the Drop Two. Join Sheryl as she continues her look at the four chord types of the drop two voicing. This time, she explores the middle set. Finally, Sheryl explores the low set of the four major chord types in the drop two voicing. The ii-V-I-VI turnaround or "turnback" progression is very common in the world of jazz. Using voice leading concepts and drop two voicings, Sheryl shows you how to get this progression under your fingers. Sheryl continues looking at drop 2 voicings within the ii-V-I-VI progression. This time, she uses the the middle four strings. Sheryl continues in this section of her series by looking at the low set of the ii-V-I-VI drop 2 voicings. Join Sheryl as she does a quick review of all the ii-V-I-VI drop two chord inversions we just learned! Now it's time to achieve some of those quintessential jazz sounds by exploring chord extensions on the drop two, ii-V-I-VI inversions! This lesson could also be titled "Intro to Chord Solos"! 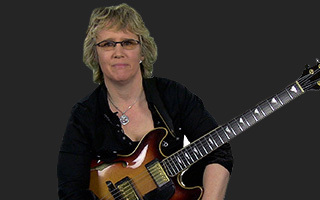 Here, Sheryl gives you four usable chordal licks to play over a ii-V-I-VI progression. This is the first in a group of lessons where Sheryl takes us through "Bossa Blues", focusing on voice leading on certain sections of the neck. Up first - Grip 1. Continuing up the neck, Sheryl looks at the next 'grip' of chords for "Bossa Blues". Using "Bossa Blues" to cover the whole neck with drop twos, Sheryl now looks at what she calls "Grip 5". In this lesson, Sheryl covers the 4th grip of drop twos using the standard, "Bossa Blues". After that, she puts all four grips together, showing us the entire range of drop twos over the whole fretboard! Now that we've learned to voice lead our drop two chords across the fretboard in "Bossa Blues," it's time to learn the melody! But not just the melody...We learn to harmonize the melody with our drop twos! Sheryl continues is this lesson with the Bossa Blues chord melody. Putting it all together, she reviews the shapes, then plays it with the track. Finally, Sheryl shows us some of her personal favorite colors when playing the "Bossa Blues" chord melody. Join Sheryl as she shares some of her favorite voicings and some of her philosophy in this blues comping study. The title is a mouthful, but the lesson lets you inside Sheryl's mind and how she organizes her fretboard, using 7 scale positions! Sheryl continues showing us how she organizes her fretboard using minor 7, drop three voicings and their corresponding arpeggios. Join her as she puts it all together with a track! After exploring her minor 7 fretboard organization, now Sheryl takes a look at how she organizes the major 7ths. Sheryl wraps up her major 7 fretboard organization by putting it all together with the track!